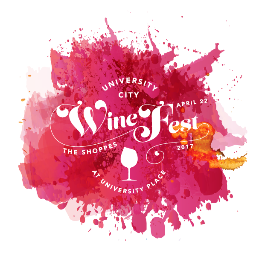 University City’s scenic lake and charming boardwalk at the Shoppes at University Place will be the location for the University City Wine Fest, débuting Spring 2017. More than 100 wines from over 25 wineries will be available to sample while guests stroll the boardwalk and enjoy live music and interactive entertainment. A variety of old and new as well as exciting wines for 2016 from across the US and globe will be featured for tasting. Whether you’re a seasoned expert or an intrigued beginner, wineries and winery representatives will welcome you as they share their knowledge along with samples of their art. Meet these experts, learn the story of their wines, and experience the harmony of delectable wines.